The Chinese economy is strange in many ways. Not only is it a hybrid between private capital and state control, but very few people directly invest in the mainland — and yet everybody is interested in how the second largest economy in the world is going to develop. That’s because Chinese demand determines the prices of world commodities, and the operations of multinational companies in China impact earnings. When the yuan falls, markets across the world get jittery. China watchers accept the fact that official Chinese data is severely flawed, and often simply fabricated, yet they still use it to analyze the Chinese economy and markets because there are few alternatives. One alternative, however, is the China Beige Book International (CBB), a research service that interviews thousands of companies and hundreds of bankers on the ground in China each quarter. They collect data and perform in-depth interviews with Chinese executives. Leland Miller, president of China Beige Book International. 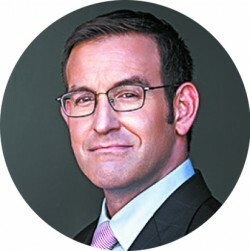 Leland Miller, the founder of CBB, spoke with The Epoch Times about which investors and companies are interested in China, the latest developments in the currency, U.S.-China relations, overcapacity problems, and the One Belt One Road Initiative. The Epoch Times: Who are the investors and companies interested in China and your services? Leland Miller: There’s people who play the share roulette or people who have a specific company in mind. We see a lot of this in the retail space and they want to get more information from us. They invest in something where they think there is this untapped market either in China or as China goes abroad. You’ve got macro firms who may not care about the day-to-day in China but want to make sure they understand the dynamics of China demand, of China credit, of China currency, so that they don’t get caught out. Commodities are in incredibly high demand. We spend a lot of our time dealing with commodities firms now because we have all this data that’s not typically available. Things like net capacity, and a lot of firms have said, “Well, we have no way of checking government numbers…. If they say they’re cutting capacity, we have to believe them.” Well, we don’t believe them, we do it ourselves and what we found is that the opposite is happening across commodities, across time. So you have all these different types of firms, but I think there is one uniting factor: whether they’re doing China micro, they’re doing China macro, or some niche element of the economy. If they don’t get China right, there are going to be repercussions in their portfolio. So even people now who have absolutely nothing to do with China are clients of ours because as they keep abreast of what’s going on, they need to understand this and not get knocked from the side off their feet when they weren’t expecting it. An increasing share of our clients are people who just want to understand China at the 30,000-feet level. Our early clients are people who want to understand at the 30-feet level. And we have everything in between, but also the corporates. The corporates have a very different mind-set: they need to know different things than, say, a hedge fund or other asset manager, who is simply trying to find a good trade. The Epoch Times: How do you see the Chinese currency developing? Mr. Miller: They took a very risky strategy on the currency dating back to last fall, and it worked. But it didn’t have to work and it may not have worked, and I think it’s worth looking back at this chronology because this could have been a very different year had some of this not worked out. Back in September 2016, the Chinese started to understand that there was a very real chance that the Federal Reserve (Fed) was going to hike in December, and they needed to prepare the currency and prepare themselves for a rate hike. They started doing that and they weakened the currency. And then when President Trump was elected, they said, “Okay, well, we got to do this even more. We have to weaken right up until he gets elected so that we can come back and say we’re going to strengthen it once he gets elected.” Now it’s a very cynical strategy that happened to work, but what’s interesting is that there was an enormous amount of commentary late in 2016, early 2017, about how — and we see this all the time — now that China is pegged to a basket, it’s not pegged to the dollar, and that the Chinese have made this move. That is just not correct. They had not switched, there has not been this back-and-forth. The yuan is essentially pegged to the dollar. The seven handle on this, the seven yuan to the dollar is extremely important for a lot of reasons, most importantly the politics around this, the politics with Congress, the politics with Trump, the politics with the Chinese leadership. And the idea of them creeping closer and closer to 7 was a real major problem. They understood that this was a politically charged number and they got real close to it and they timed it well and they backed off it, and it had been strengthening ever since which has been supported by the fact that the dollar has been in a weakening trend. Shockingly, they got up to 6.9 — it was approaching a danger point where I think markets would have started caring, and they backed off at the right time. So they have had the 2017 best case scenario, they haven’t had these interruptions, they haven’t had a super strong dollar that a lot of people thought was going to happen six months ago. So the yuan is not on the top of people’s worry list right now but it’s just a matter of time before they have to deal with these dynamics again, unless the dollar is in a long term weakening trend. The Epoch Times: How do you see U.S.-China relations in the future? Mr. Miller: The administration understood that China’s a radioactive word if you use it politically, so we’re going to fight back on China, we’re going to save American workers from the tyranny of Chinese goods. That was the calling card for a while. And then of course President Xi and President Trump met at Mar-a-Lago and had this beautiful chat and everything turned around. President Trump was convinced to give the Chinese some amount of time to fix the trade problem and fix North Korea and a whole bunch of other things. A lot of really smart China watchers have been saying recently that the President is angry that the Chinese have not done what he wanted them to do on the trade side of North Korea and he’s flipped and you’re about to see the repercussions. I would actually push back against that. I think that what you’re seeing right now is a gradual dissatisfaction with this. But the real tea leaf here will be the South China Sea. The U.S. position in the South China Sea has just been invisible for the most part. I mean, they talk about a few spy ops but they have been mostly invisible for the past six, seven months. And when the President, the White House, the administration makes this turn and decides: “Alright, China is not going to help us out, we now need a stick and we need a big stick,” you’re going to start seeing developments in the South China Sea. The fact that there has been some push back on trade, the fact that we’re talking a little bit about steel, it’s totally misunderstood. The steel measures being talked about are not anti-China, although they’ll be sold as that. So I think we need to stop jumping the gun on the idea that the president has turned hostile on China. This hasn’t happened. Do we think it will happen? Yes. I think it’s a 2018 thing. But I don’t think that there has been a major shift in policy. 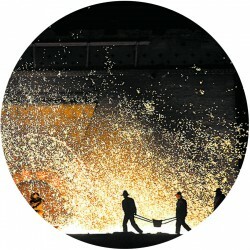 The Epoch Times: Are the Chinese really tackling the overcapacity problem? Mr. Miller: There are two stories here. The first is what our data is saying and the second is the mistake I think a lot of investors make in seeing commodities as monolithic in China. People usually think that they’re either going to cut capacity across the board or they’re not going to cut capacity at all. So what we have been seeing is not cutting capacity. When prices have gone up, a lot of investors said, “Look, the Chinese government is making good on their pledges to cut capacity. Look at prices are going up, imports are going up.” Anecdotally, that suggests they’re cutting capacity. Now, they are cutting gross capacity, but total capacity added has gone up every quarter and it’s gone up in almost every sub-sector every quarter. They are adding capacity, and this is very intuitive if you think about it. There are all these industries who used to laugh about the economic reports we used to get from these firms quarter after quarter after quarter of higher inventories, worse revenue, no profits, more capacity — it was just a joke. Now all of a sudden they’re getting this good economic scenario and they are not about to cut back. It makes sense that they’re not cutting back, but the narrative on this is that the Chinese government is hard at work cutting capacity, and it’s totally a mistaken narrative. Now, we tracked this very closely across coal, aluminium, steel, and copper, and there is a very clear dynamic there and it’s been clear for the last year plus. They are not cutting net capacity. Now the other issue here is the differences between sub-sectors. When you look at coal and when you look at steel, there’s a different long term concern about the two of them. With all these Chinese commodities, there’s potential overcapacity issues, but coal kills people and coal turns people’s lungs black. China Beige Book International (CBB) is an independent research firm that collects data from thousands of Chinese firms every quarter, including in-depth interviews with local executives. Although the CBB does not give definitive growth numbers, it logs how many companies increased their revenues, how many laid off workers, and many more datapoints. And so the idea that the Chinese can continue to crank out coal the same way they can crank out steel, with the same repercussions, it’s not there. So over time I think we will see a pullback on the coal side. It’s an open question as to whether we’ll see it in steel and aluminum; a lot of this might be affected by the trade actions coming out of the United States, but right now the major story here is that investors are guessing. They’re guessing based on prices and they’re getting this wrong more often than not. They don’t understand the degree to which these sub-sectors are cutting back. In fact, they increasing capacity, they’re bringing more capacity online. They take the old ones and take them offline or the ones that aren’t being used, but they’ll activate others or they’ll build others or they’ll upgrade others. So the overall dynamic is that more capacity is being brought online but then make a very big show of what they take offline or what they blow up. They used to put TNT into giant iron plants and blow them up to show that the government was doing something. This is the equivalent of this in 2017. But net net, they’re not cutting back right now. They’re trying to take advantage of a good market for their goods and so this is going to shock people. It’s already surprised people; that’s why you see these enormous 5 percent, 8 percent moves in a day on these commodity markets. But it’s going to shock people more going forward when they understand the totality of what has happened over the past year. The Epoch Times: What are your thoughts on the One Belt One Road (OBOR) initiative? Mr. Miller: What is the real goal for this? The goal is to exert Chinese influence abroad, it’s to recycle surpluses in goods and services abroad to some degree because of oversupply. It will accomplish certain things but is it a worthwhile project? Is it going to do what everyone thinks it’s going to do? No, of course not. But there are things being done. It is a project large in scope, it will attract headlines for many years, but at the end of the day is this a game changer for China? No. Have the Chinese ever in any context found a sustainable ability to get returns, to get an actual return on their investment? No. And they’re going into a situation where they’re irritating a lot of these states who think that they were going to be able to use their own labor, but the Chinese are using Chinese firms who are doing quite well so far, and having them do the labor. There are political problems that brings up. They also have a different situation right now than they did three years ago when you talk about the Forex reserves in the capital accounts. So the idea that they had too much and had to figure out ways of dumping Chinese capital in other places, that problem has reversed itself. Now we are not at any kind of problematic point at around $3 trillion, people have the opposite concerns. I think that if this were not a President Xi initiative that he has attached his name to, this would have been deescalated far more dramatically. They’re going to have to build it up, it still plays a role, it’s still worth watching, but the idea that this is a real game changer similar to the Asian Infrastructure and Investment Bank which was a political upheaval about a year ago, two years ago, whenever it was, these are not game changers. These are Chinese inefficiencies at work abroad.